In this episode we will see how actress Jennifer Esposito has dealt with having Celiac's Disease by developing her line of gluten-free baking products. 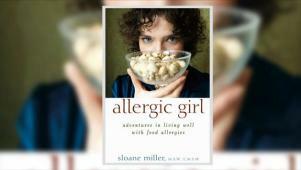 We will also meet Sloane Miller A/K/A Allergic Girl whose blog, Please Don't Pass the Nuts, has become the central hub for information about coping with food allergies for food allergy-sufferers. This blogger devotes her life to helping others in the allergic community.